These designs focused on a more corporate looking style, with a clean simple shape. 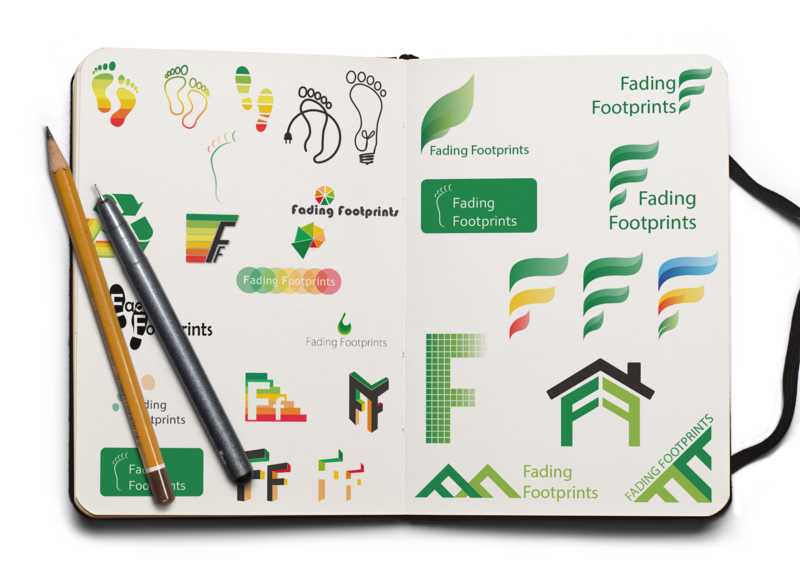 To develop the existing Fading Footprints logo to reflect their transition into becoming a more established organisation. 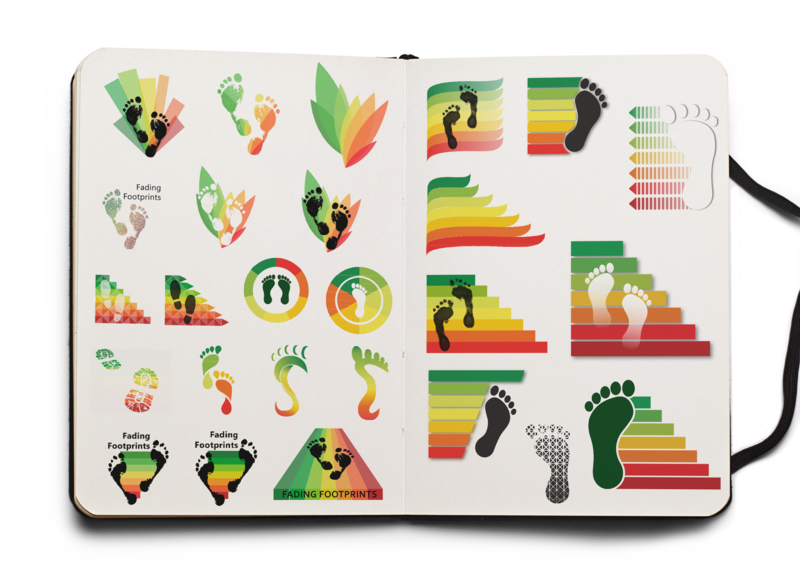 Fading Footprints are specialists in The Energy Performance of Buildings, working with businesses and individuals to reduce energy bills and carbon. They have been operating for the last 10 years and wanted to update their branding. The first step was to redesign their logo, and apply this to their existing marketing material. 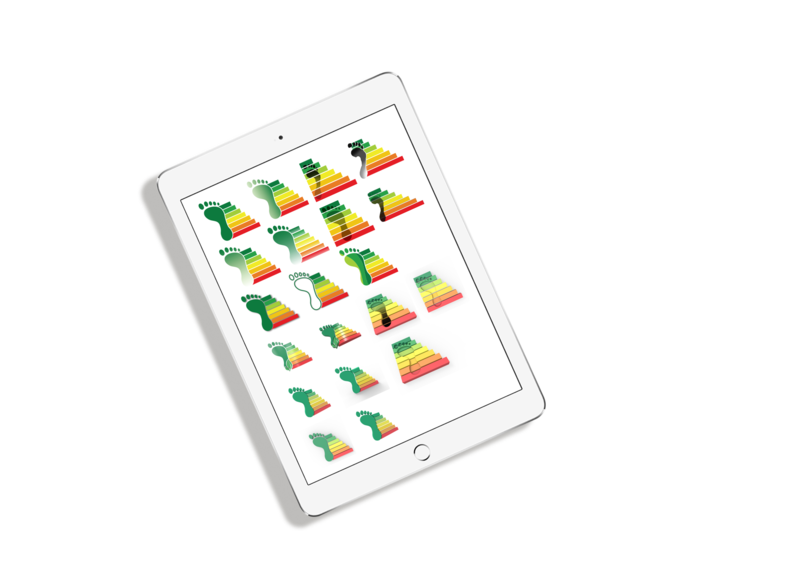 A bold colour scheme that is reflective of the colours used in the energy performance certificate rating. An overlay of a footprint that is reflective of the company name, incorporating the key message. 3 rounds of iteration were completed. First, a series of quick sketch concepts were generated; the 2 key design elements were incorporated at varying degree. The client favoured concepts that were most similar their existing logo, so we focused on developing them designs further. For the final iteration, the focus moved to develop the shape, style and composition of the key elements. The final design kept many of the original features of the old logo including the foot and the colour bars – which was important to the client. 3D elements were used to give the design more depth. The client has gone on to use the new logo throughout all new materials and was very pleased with the final solution. This was the first of several projects we completed for this company. Over the last 12 months Fading Footprints have employed the services of Eat Fish Design on a number of projects. We have found them to be extremely knowledgeable and professional. They quickly gain a good understanding of what we want to achieve and hit the brief perfectly, always with some extra ‘designer flare’! We can therefore without hesitation thoroughly recommend Eat Fish Design and we look forward to working with them on our future projects.